Party season once again, and many homes will surely be open to welcome family and friends to celebrate the holidays. Usually, I find myself stressing out on what to serve our guests whenever we host get-togethers at home. I want to keep things simple and hassle free, especially for me. I'm really just a lazy cook. More often, we just order so it's fast and convenient. On top of delivered meals, I add one or two finger foods to complete the buffet. I've been making my ham and cheese or salmon and caviar hors d'oeuvres when I'm expecting over a dozen guests. 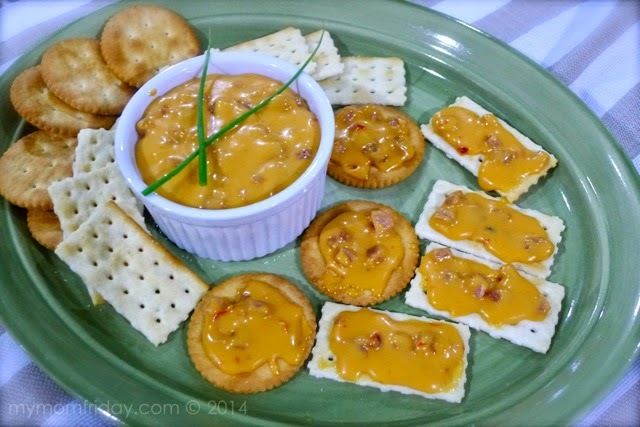 These are easy to prepare, and can be eaten as appetizers or paired with wine. 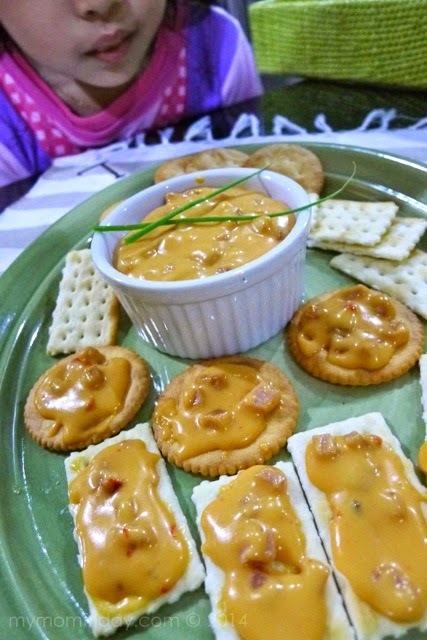 For this post, I made an even simpler variation using our favorite cheese spread, Cheez Whiz! I always try to ask my boy and girl to help me in the kitchen, especially when I need to assemble a lot of servings. 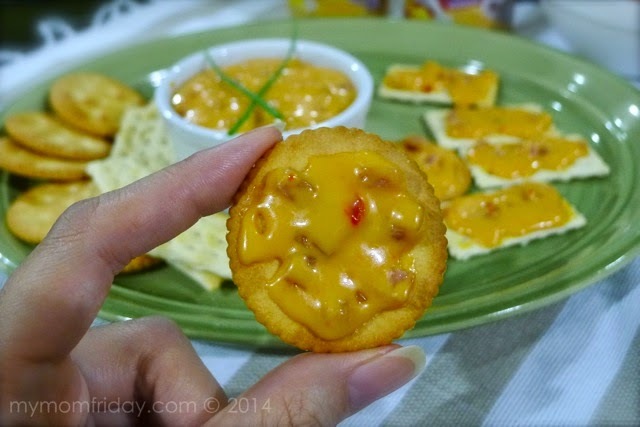 This cheesy hors d'oeuvres is so simple that you can leave the kids to do everything. Serve on a nice platter or tray. Devour! Remember, you don't have to spread everything in one go. 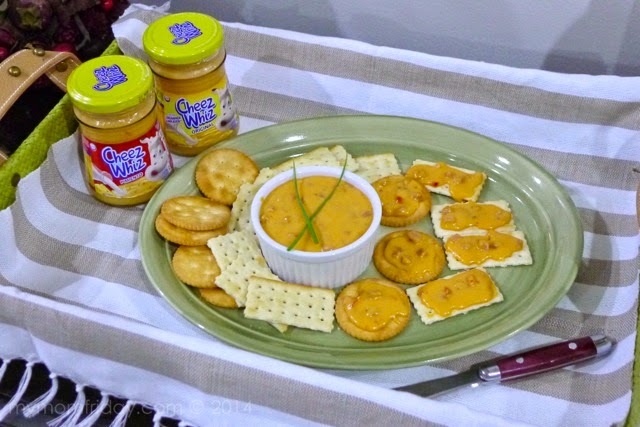 Use a small dish or ramekin for a portion of the ham and cheese spread and lay out assorted crackers to allow guests to dip or spread on their own. It's gonna be a hit among guests, for sure. 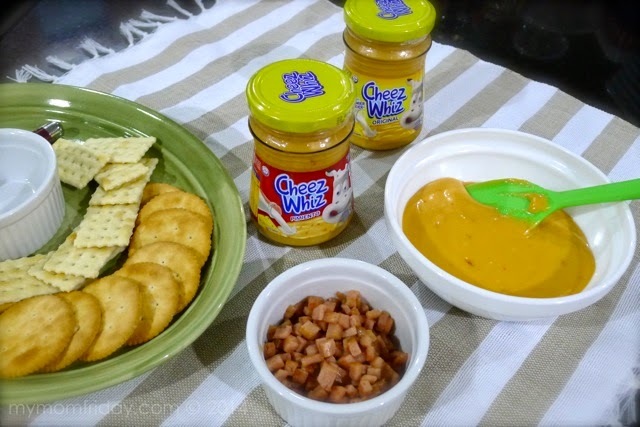 This ham and Cheez Whiz spread is also perfect as a dip for chips, chopped fresh veggies like carrots, turnips, and celery sticks. Cheese anything! 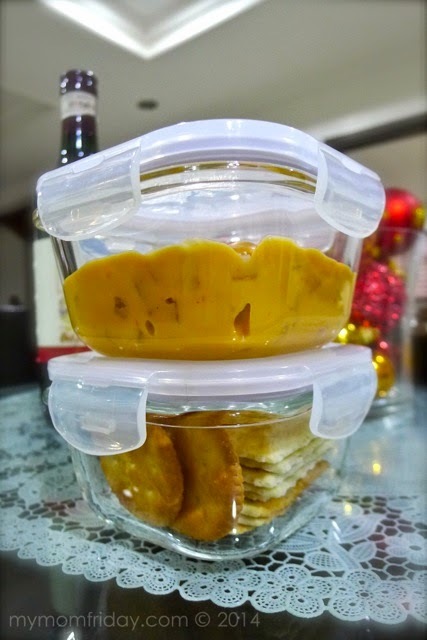 For storage, you can put it in air-tight containers to serve anytime, or pack in nice bottles/jars with crackers then give out to friends. Scrumptious, versatile, spreadable, festive. I can chow down 10 crackers in one sitting. 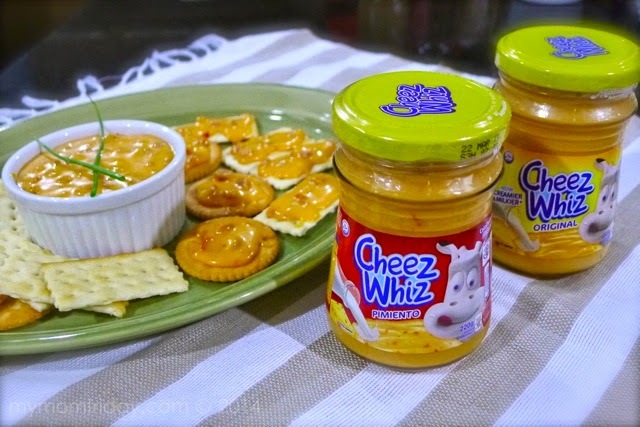 =) Spread some cheezy love this holiday season with this easy peasy Cheezy Party Appetizers. 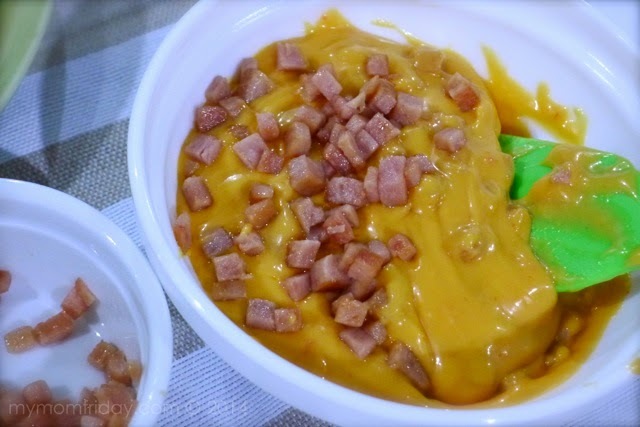 Try it for your noche buena tomorrow! Merry Christmas!